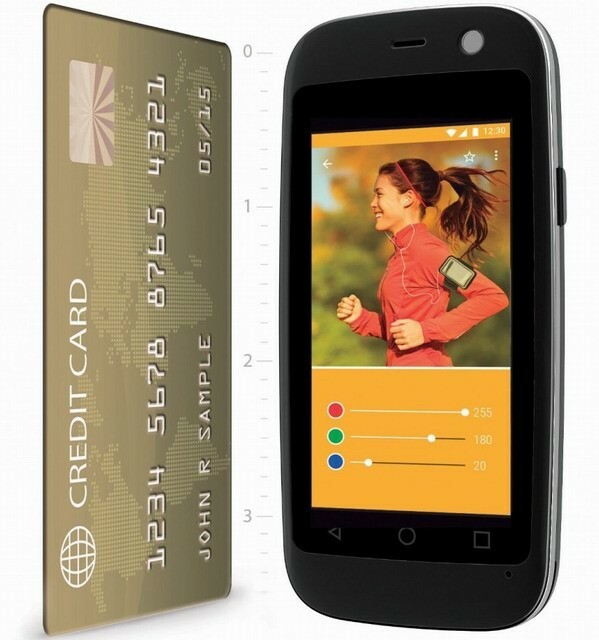 Smartphone Posh Mobile Micro X S240 easily confused with a bank card! The screen of 4-inch smartphone size coincides with the size of a credit card - if you do not believe, you can check yourself. And here is a new mobile phone, too, by the way, with the prefix "smart" has the same dimensions as the 4-inch screen, making it one of the most compact intelligent means of communication and, perhaps, the dream of single women, since vibration is it definitely it should be. Tiny Posh Mobile Micro X S240 runs on Android 4.4 KitKat and a screen of 2.4 inches with a resolution 240h432 pixels, and you can buy today, however, is that only in the "Amazon", which is very reluctant to deliver the goods in Russia. We are waiting for the appearance of the device in the correct Chinese Internet flea markets. Further, the smartphone Posh Mobile Micro X S240 carries a 512 MB RAM and 4 GB of internal memory, microSD slot, 2-core processor with 1 GHz, battery with 650 mAh or 4 hours of calls, a slot for two SIM-cards and even support third-generation cellular networks. Surprisingly, its characteristics are very similar to onymi in 4-inch smartphone - even a new iPhone SE, too, is only a dual-core processor. The difference, however, is that Posh Mobile Micro X S240 only costs $ 50, exactly 10 times cheaper "iPhone". Buy a smartphone can be in blue, white, black and pink colored casing, and its dimensions with the weight of 52 grams make up only 89h47h12 millimeters.